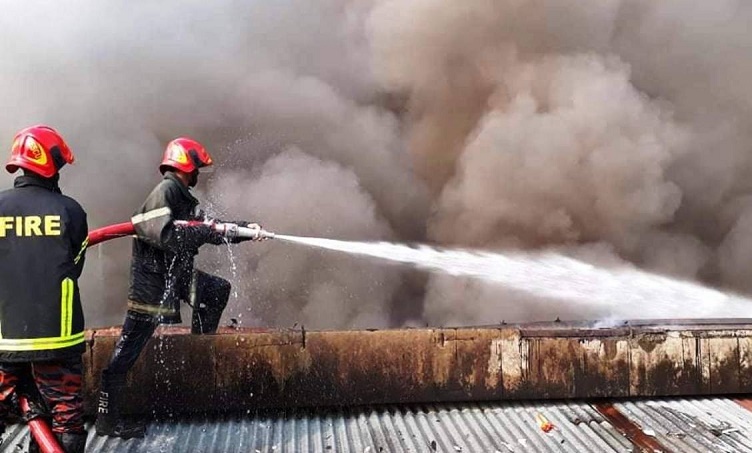 A fire broke out at a warehouse of Singer in Pahartoli on Wednesday morning. It broke out around 5:45am and spread rapidly, said Jashim Uddin, deputy assistant director of Chattogram Fire Service and Civil Defense. Four firefighting units went to the spot and extinguished the blaze. Singer products such as TV, fan, air-conditioner, solar panel and furniture were destroyed in the fire. The origin of the fire and the extent of damage could not be known yet.